It had been a very busy week for me after being on vacation for 10 days! I have been playing catch up with everything. Today is just a quick reminder that Sale-a-Bration is ending on Sunday the 31st. We also just found out that the Butterfly Gala Bundle #150599 $35.00 is back in stock. This is such a great bundle. 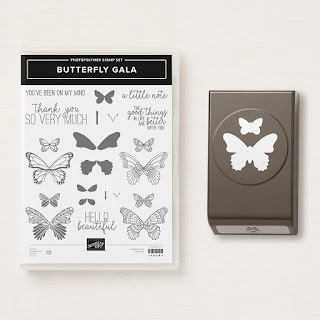 Stampin up has announced they will start selling storage containers for markers, ink pads and misc. on April 1st. So watch for all that to come next week. Also, don't forget about the 2017-2019 retiring In colors. Get them before they are gone!